February 7, 2017 By Jamie Leave a Comment By clicking on our links, we might make a SMALL commission - Thanks for the support! See our full DISCLOSURE here. 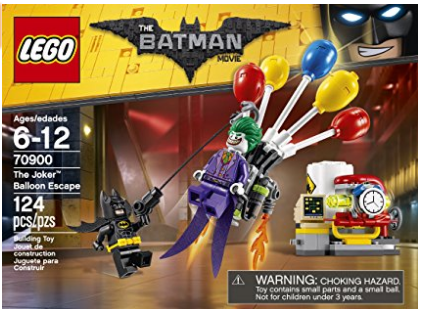 Now the kids can take their favorite scenes from the new LEGO Batman Movie and act them out with the LEGO Batman Movie the Joker Balloon Escape Set for an awesome price!